I am always up for trying a yummy new Fall dessert and the combination of chocolate and pumpkin, like this pumpkin chocolate mousse, is always a safe bet! Kristin calls this recipe a skinny treat because it is healthier than your typical holiday dessert. I have a feeling this would be a pretty yummy filling in a pie for Thanksgiving too! 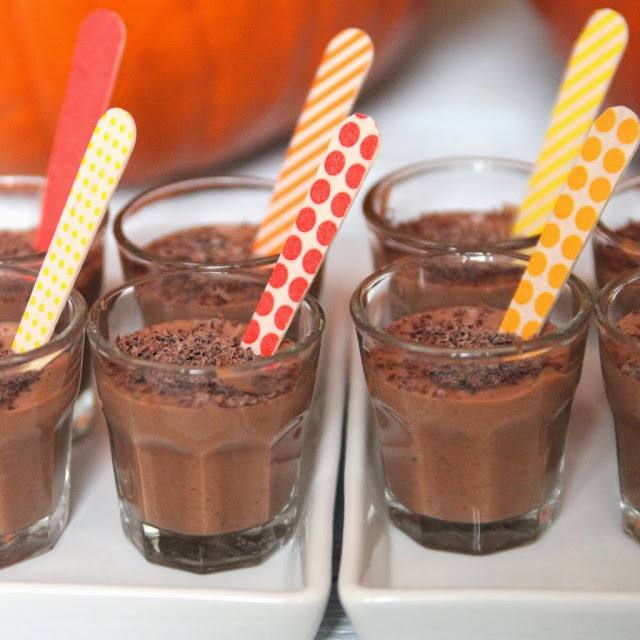 You can get the pumpkin chocolate mouse recipe over at KoJoDesigns. Gaaad! must try! Thanks Lorie!